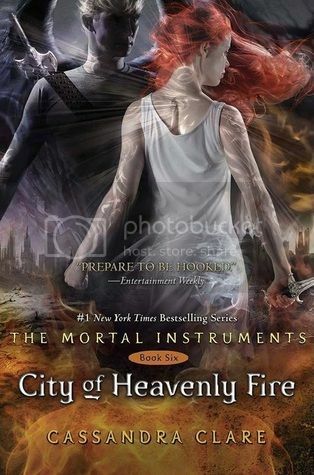 Is anyone else SO EXCITED to FINALLY see the cover for this book?! It seems like I've been waiting for it forever. And I'm sure I'm going to see it on almost everyone's WoW post this week. Can't wait to finally read this!! waiting for this as well!!!!!! The cover is my favorite in the series! I'm so confused about CoHF. I'm curious to see how it all ends, I feel like it's been a long time waiting, but I'm so scared. I don't want to be disappointed. I'm not a TMI super fan but I don't want anything bad to happen to Clary. Finally! I can't wait to finish off the series. I've been scattered in my reading of these--think I need to start from the top and work my way through them! Love this cover! I still need to read the 5th book in the series, so hopefully I can binge read the last two books back to back. Thanks for sharing the cover with us and great pick! I love the cover!! I need to catch up on the other books of this series, but so far I really like it. Yes, I HAVE BEEN WAITING 2 YEARS FOR THIS BOOK! I'm trying to finish the series so I can be ready when this comes out . I'm re-reading city of bones now. the furthest I had read to in the past is the second book.